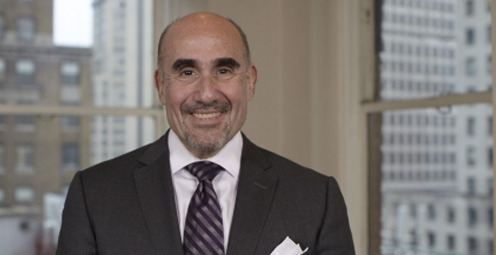 David M. Levy is a partner and a member in the firm’s Litigation and Risk Management Department. Over a period of more than thirty-five years, David has developed a diversified corporate and commercial practice, specializing in litigation and all forms of dispute resolution, as well as general corporate and business counseling. He regularly represents public and private companies and/or their shareholders in a wide variety of transactional, corporate and litigation matters. Complex commercial litigation, including unfair competition, restrictive covenants, trade secrets, real estate and construction, mergers and acquisitions, bankruptcy and insolvency, and an extensive variety of business torts and contract-based claims. Corporate and Securities litigation and arbitration, including SEC investigations and enforcement proceedings, shareholder and partner disputes, corporate and partnership dissolutions and breakups and securities fraud, representing private and institutional investors as well as institutional brokers/dealers and individual brokers. Employment and labor counseling and dispute resolution involving post-employment restrictions, breach of contract and breach of fiduciary duties. Real estate development and construction litigation, including ownership and title disputes, mechanics' lien and mortgage foreclosures, and commercial lease disputes. Administrative and regulatory disputes before the Securities and Exchange Commission, Commodities Futures Trading Commission, Financial Industry Regulatory Authority (FINRA, formerly, National Association of Securities Dealers), Chicago Board Options Exchange, National Futures Association, New York State Education Department, New York State Comptroller's Office and New York State Department of Labor. Representation of director of research in multiple federal and state class-action suits and FINRA and AAA arbitrations stemming from the demise of a $4 billion NYC hedge fund, which were ultimately settled and withdrawn against him without requiring his financial contribution or admission of liability. Defense of action resulting in dismissal of all claims against hedge fund and co-founding principal in federal court action brought by former executive employee claiming more than $20 million in unpaid commissions and bonuses. Representation of Options Trader in FINRA arbitration against major brokerage firm resulting in the recovery of substantial lost commissions in favor of the client and the complete offset of the unpaid balance of multimillion dollar signing advance asserted by the brokerage as a counterclaim. Representation of a substantial family office in a FINRA arbitration against a major broker dealer leading to an award of $7 million and a further recovery of $6.5 million against related parties. Defense of federal court action against sole principal of foreign investment fund by substantial multi-national investor seeking to pierce the corporate veil in order to enforce a $2.2 million judgment previously obtained against the fund. Defense of litigation brought by founding majority shareholder of $75 million NYC elevator company against the two junior "sweat equity" principals, resulting in the enforcement of the parties’ initial agreement which was scribbled on a napkin over a working lunch - and ultimately the clients’ acquisition of 100% equity in the company. Representation of a commercial property owner to recover the $11.75 million purchase price for the sale of a three-parcel assemblage on the lower east side to a hotel developer. Based upon the Supreme Court's favorable rulings, which were deemed to be law of the case, the defendant developer was stripped of its defenses and had no choice but to resolve the matter in favor of our client without further litigation, resulting a sale from which our client received payment in full of the unpaid purchase price. Defense of engineering company and majority principal in litigation brought by founding minority shareholder resulting in the redemption of plaintiff’s shares for nominal consideration. Defense of established film archive and production company in a series of actions in Florida, California, New Jersey and New York over a period of ten years brought by music and entertainment celebrity seeking the return of the intellectual property and copyright rights to his syndicated television variety show from the 70's/80's. After our filing of a declaratory judgment action in the Southern District of New York the dispute was finally resolved with the entry of a consent judgment adjudicating our clients' ownership rights in the property without any payment of additional consideration. Defense of claims of fraud and breach of contract brought against minority owner of private nursery/elementary school resulting in the successful redemption of her shares at a significant premium. Representation of former owner of junior college against publically held purchaser of business in AAA arbitration resulting in the recovery of the unpaid $4.8 million balance of purchase price plus legal fees and costs. Representation of a closely-held music publishing company in litigation against the world-wide industry leader resulting in a favorable multimillion dollar settlement of breach of contract action. In addition to litigation and dispute resolution, David actively counsels his clients on corporate and transactional matters. His role as a problem-solver takes many forms, and he regularly sits in on board of directors' meetings, attends business functions with clients and has on several occasions been engaged to mediate complex commercial disputes, including his appointment by the New York Supreme Court as a Special Master to oversee the orderly liquidation of pledged collateral.